Phil Everly, one-half of the highly influential Everly Brothers, passed away earlier today (1-3-14) in Burbank, CA from complications due to chronic obstructive pulmonary disease. “We are absolutely heartbroken,” his wife Patti Everly told The Los Angeles Times. 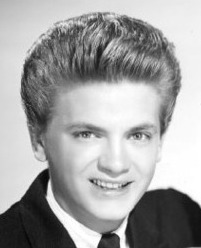 “He fought long and hard.” Phil Everly was 74. Along with his wife, Phil is survived by his sons Jason and Chris, his mother Margaret, two granddaughters, and his brother Don, who along with Phil, radically influenced the use of close harmony in American popular music across the entire musical landscape, including country, folk, and rock & roll music of which The Every Brothers were wildly successful in both commercially and critically in the 1960’s and beyond. The duo was inducted into the Rock & Roll Hall of Fame in 1986, and the Country Music Hall of Fame in 2001. Only artists like Elvis and Pat Boone outsold The Everly Brothers between 1957 and 1962. The Everly Brothers featured close harmony singing are given credit for influencing and being influenced by such country acts as Jim & Jesse McReynolds, The Louvin Brothers, The Delmore Brothers, and the Osmond Brothers. They were signed to Acuff-Rose publishing, and though Phil was born in Chicago, his brother Don was born in Muhlenberg County, Kentucky, where the family’s roots were. Their father Ike Everly was also a noted musician. Phil Everly and The Everly Brothers’ country roots and influences were most recently brought back into the spotlight when Billie Joe Armstrong of the punk rock band Green Day and Norah Jones released a Everly Brothers tribute called Foreverly that featured a reinterpretation of the 1958 Everly Brothers’ album Songs Our Daddy Taught Us, filled with traditional and primitive country songs that had influenced The Everly Brothers. The Everly Brothers broke up in 1973, but had reunions and continued to perform together throughout their lives. Up until his death, Phil was involved with the Everly Music Company with his eldest song Jason Everly, making musical instrument accessories. This is really sad news. 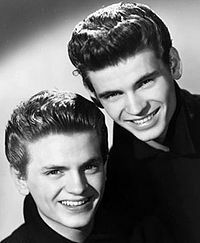 The Everly Brothers helped define my youth. RIP Phil. Prayers rising for the extended family. Nooooo! I didn’t even know he was ill! This is very sad news. I had no idea this was coming. The Everlys had true blood harmony. They probably popularized old-time close harmony singing in the broader popular music world more than anyone. Actually, they probably popularized harmony itself. The saddest thing to me is to think that Don Everly will never have the experience of singing with his brother again… You can’t replace that kind of partnership. This is a sad way to start the new year for music fans. Sad news. RIP, Mr. Everly. Thanks for the great music. Their dad was a coal miner. sorry, their uncle was a coal miner. What musicality. I didn’t realize what great guitar players they both were till I watched that video. And the old neighbour, playing as good as Merle Travis. And Bo Diddley rhythm. As soon as they said it you can hear it. The Everlys must be one of the greatest vocal groups of the last fifty years.